Jeananne Laing, Cannabis Educator, Registered Herbalist (AHA), and Integrative Nutrition Health Coach. After many years of managing and teaching at the Wild Rose College of Natural Healing, Jeananne continues her passion for education as Co-founder/Co-Director at Lodgepole School of Wholistic Studies. She is a Cannabis Educator at Harvest Medicine Clinic in Calgary and frequently speaks on various aspects of cannabis and other herbal medicines. 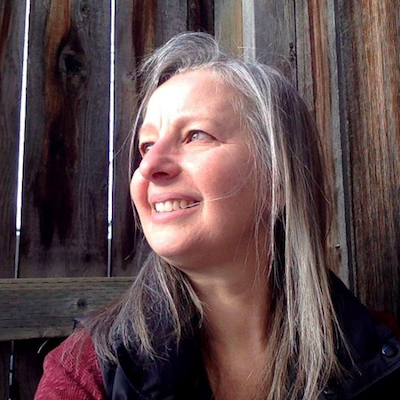 Jeananne is a founding member and current President of the Alberta Herbalists Association. She served as a board member with the Canadian Council of Herbal Associations 2005 - 2017. In 2017 Jeananne completed the Clinical Cannabinoid Medicine program at TMCI Global, The Medical Cannabis Institute and LIFT's Retail Cannabis Training course. She studied nutrition at the Institute of Integrative Nutrition, completing the Health Coaching Program in 2014. Jeananne completed the Wild Rose College of Natural Healing Clinical and Master Herbalist diploma in 2006 under the direction of Dr. Terry Willard, PhD. 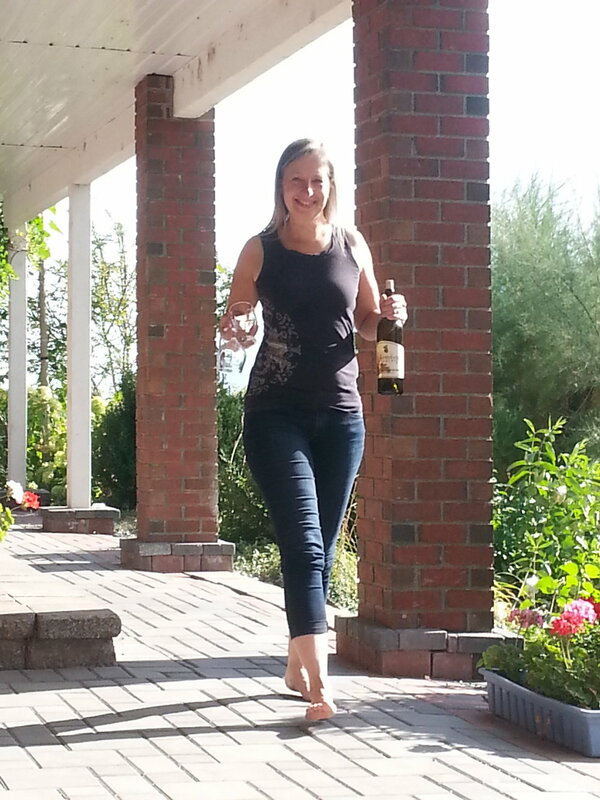 Since Feb 2018 Jeananne is the Alberta Educator for TallGrass natural health and supplement products. I was raised in a small fruit farming community in the Similkameen Valley of British Columbia. Growing up I enjoyed home-grown food, fresh air, and the freedom to explore the rugged and pristine beauty of the southern BC interior. Real food was the norm in my house. My mother would have it no other way. Meat was purchased half a cow at a time; cut into choice pieces on the workbench in the basement, wrapped in brown waxed paper and stored in the freezer. The canner and canning apparatus made an appearance in the kitchen about mid-May when the first tender asparagus stalks were ready for picking. And that canner was not put away until late October when the last of the tomatoes were safely preserved in clear glass jars. In between the asparagus and tomatoes were cherries, peaches, apricots, various jams and jellies, applesauce, pickles, and relish. Inevitably at some point during the summer whole salmons arrived, and in a flurry of activity over several days, were packed into reusable glass jars and pressure cooked to a beautiful deep pink colour. Come November mincemeat and fruit cake were made from scratch and put into a ceramic crock to age until the holidays. As each summer progressed, the colourful new preserves slowly filled up the two-by-four and plywood shelves that occupied one whole wall in the basement. I don’t have any pictures of the colourful display. I guess home canned food was so normal that no one thought it special enough to take a picture. Our milk was purchased raw from a local farm. It was whole milk in its truest form. A few inches of thick cream topped up each glass bottle that had been sealed with a cardboard disk. Mostly the cream was shaken into the milk for drinking (even to this day I will shake a milk jug before pouring). But sometimes the cream was drawn off the top of each bottle and put into an empty jar with a tight fitting lid. The jar full of cream was shook and shook and shook some more until fresh butter began to separate from the butter milk. Everyday meals were always real. Why wouldn’t they be with all those preserves on the shelves and in the freezer? I used to bemoan the fact that my friends got to eat Kraft Dinner, Campbell’s soup, and Mr. Christie cookies, while I had to eat the home made varieties. In fact one of the first dishes I learned to cook was mac & cheese, complete with a made from scratch, thick and creamy cheese sauce. Bacon was purchased in uncut slabs and kept wrapped in brown paper in the fridge. Each morning a few freshly cut slices were fried in a cast iron frying pan, and at just the right moment, eggs were cracked into the hot oil and cooked to perfection. The left over bacon grease was poured into a large tin can that was kept in the fridge, to be used as the fat component in the homemade bread. Yup, my mom also made her own bread … from scratch … kneaded by hand … every week … using left over bacon grease. So you see real food was instilled in me from the beginning, yet it wasn’t until my own children were born that I truly began to appreciate the gift my mother had given me. And it would be several more years before I heeded the gift’s calling. I began my career in graphic design and desktop publishing, quickly transitioning into the bold new world of information technology, dabbling in the intricacies of networking, database support, web development, technical writing and project management. While it was a challenge staying connected to my rural roots, the time spent in the realm of bits and bytes afforded the means to comfortably raise two beautiful and healthy children. Around the turn of the century, my health was not as good as it should have been. The stress of 21st century living was beginning to take its toll; my children were almost grown up; and I was utterly bored with the world of hi-tech. I was at a turning point in my life and I had no idea what I was going to do next. My epiphany moment happened one day when I wondered out-loud to the universe "What the heck am I doing with my life?!" Through blurry eyes, I began scanning the titles of the books I had collected over the years: herbal medicine, whole foods, organic gardening, meditation, spirituality … wait a minute … more books on herbal medicine, wholistic health care, simple living … I think my books were trying to tell me something. You see several years earlier I had sent away for information about a herbal medicine correspondence course. The completed application form and cheque to pay for the course sat on my desk for months before I finally threw them out. I had convinced myself that I didn’t have the time to spend on such a seemingly frivolous course. But even though I tried to push it aside, the gift never stopped calling. Fast forward to that epiphany moment and I knew I could no longer ignore my role. It only took a few years to transition careers because when I committed to fully accepting my true calling, the universe opened doors that I didn't know existed and life has become one grand adventure after another. I love helping people find their way in the world, regain their health, and make peace with their past ... for truly it is through changing and healing our own lives, that we can create the peaceful society and pristine environment we all dream of. I wish you well on your life's journey.